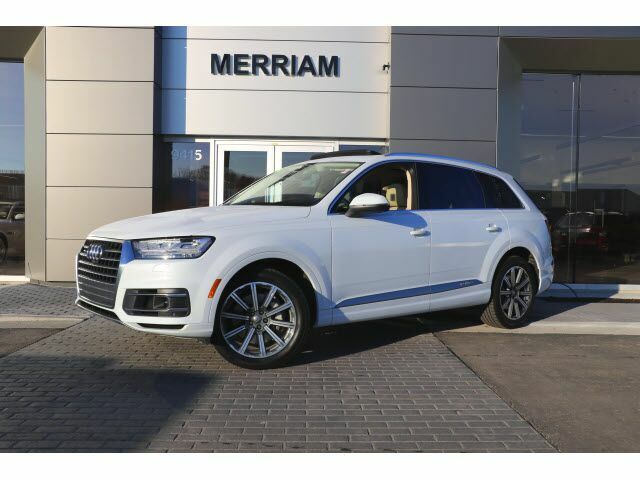 2017 Audi Q7 3.0T quattro tiptronic Prestige is very clean inside and out. Local 1-owner trade-in, low miles! Loaded with Prestige Package $9,500. Luxury Package $6,000. Driver Assistance Package $2,400. Rear Seat Entertainment $1,845. Cold Weather Package $500. and More! Original MSRP $76,720 ask me to send you the original window sticker! Please Contact Brian Stacy 1-855-979-0255 to Test Drive Today! Aristocrat Motors, Kansas City's premier luxury dealer strives for the highest levels of customer service. Voted "Best in Business" by the readers of Ingram's magazine, our customers are our number one priority.